Israel knows this better than most countries. It has been on the receiving end of numerous online attacks of varying levels of competence (though not as many as the United States receives), and it has launched some particularly advanced and effective assaults of its own — most famously, the Stuxnet malware that it and the U.S. reportedly collaborated on to disable Iranian nuclear centrifuges. “Israel is one of the top targets of cyber attacks, and also a source of a lot of defensive and offensive cybersecurity technology,” according to Johannes Ullrich, dean of research at the SANS Technology Institute, a cybersecurity research and training organization in Bethesda, Maryland. A report released before the conference by the IVC Research Center, a Tel Aviv tech-startup hub, touted Israel as second in the world to only the U.S. in cybersecurity. I spent a week in Israel to get an overdue introduction to its cybersecurity sector, courtesy of a trip for a group of U.S. journalists and analysts sponsored by the America-Israel Friendship League, a New York- and Tel Aviv-based nonprofit, and by Israel’s Ministry of Foreign Affairs. I wanted to see how the countries private and public sectors were coping with cybersecurity threats and to see what U.S. might learn from them. My conclusion: If only the Israeli approach were something we could pack in a box and put on a plane to the States. 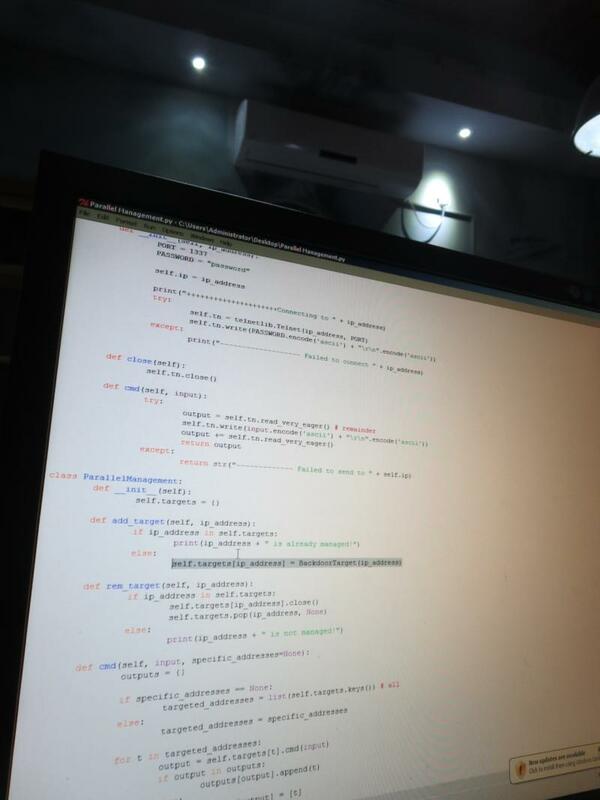 Lines of code on a monitor at CyberGym’s training facility. At the low end, the almost-entirely-state-owned utility is subject to 4 to 5 million online attacks a month; at the peak of the “OpIsreal” campaign, that number approached 25 million. None have succeeded in taking IEC’s grid offline, although Shneck wouldn’t say how close they’d been. “I don’t think we are smarter, but I am sure that we are unique in one thing: We are in a political situation that puts us in front,” Shneck said. He did say that the nature of these attacks had changed, with fewer “distributed denial of service” attacks (in which massive numbers of computers are used to flood a targeted site with useless traffic) but more phishing attacks and attempts to tunnel into its networks with long-lived “advanced persistent threat” malware. Against them, IEC has about 100 full-time cybersecurity employees and a 24-hour security operations center that monitors 16,000 events a second for signs of trouble, even if it’s just a door opened at a power facility. The company has since spun off a security training operation, CyberGym, that challenges technicians to defend against attacks in a simulated power-plant control room on its campus in Caesarea. 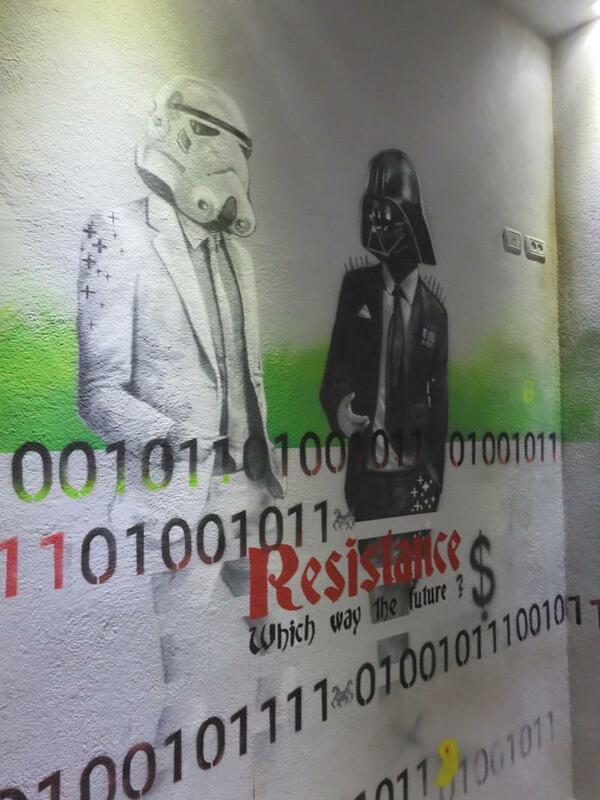 If the “blue team” trainees lose control of their systems to the “red team” adversaries in an adjacent building (decorated with such hacker-ish art as a painting of Darth Vader and a stormtrooper in business attire), their lights will go out, an alarm will sound, and water can flood the floor. I asked CEO Ofir Hason whether any U.S. utilities had sent employees to take its training. None have so far, he said, but the company is looking to open a location in the U.S.
Hacker art to motivate “red team” instructors at CyberGym. Almost every Israeli working in cybersecurity shares the experience of compulsory service in the Israel Defense Forces. And many of them, in turn, come out of a particular part of the IDF, the ”8200” intelligence unit. “It’s the Israeli version of the NSA,” explained Nir Lempert, a former deputy commander of the 8200 unit and now CEO of C. Mer Industries, a tech holding company — except that the National Security Agency can’t force people work there for the first few years of their careers. As I talked to various security startups on the CyberTech show floor, the importance of 8200 and similar IDF units kept coming up. "Service in the 8200 is a little like an MBA in the U.S.,” said Amit Rahav, a marketing vice president at the network-security firm Secret Double Octopus. 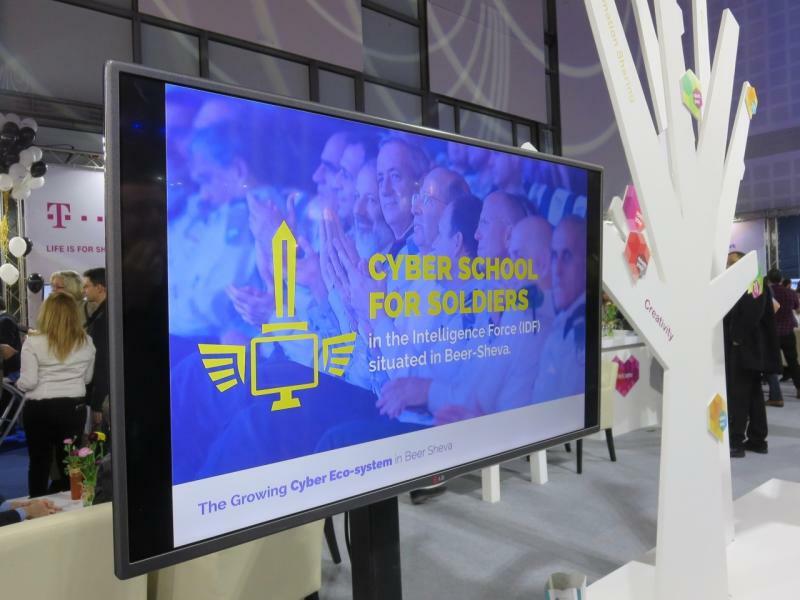 “The biggest driver for cybertech in Israel is the intelligence and military communities,” commented Dror Liwer, founder of the wireless-security company Coronet. But that connection comes with some costs as well. “There is a sensitivity in the world to companies associated with their government,” said Gil Schwed, CEO of Check Point Software Technologies. And because the government exempts Israel’s Arab citizens from conscription (a few of them volunteer anyway), some homegrown talent may never show up on the 8200’s radar. It’s unclear how well such ventures as a new technology accelerator in Nazareth to assist Israeli Arab startups can offset that. 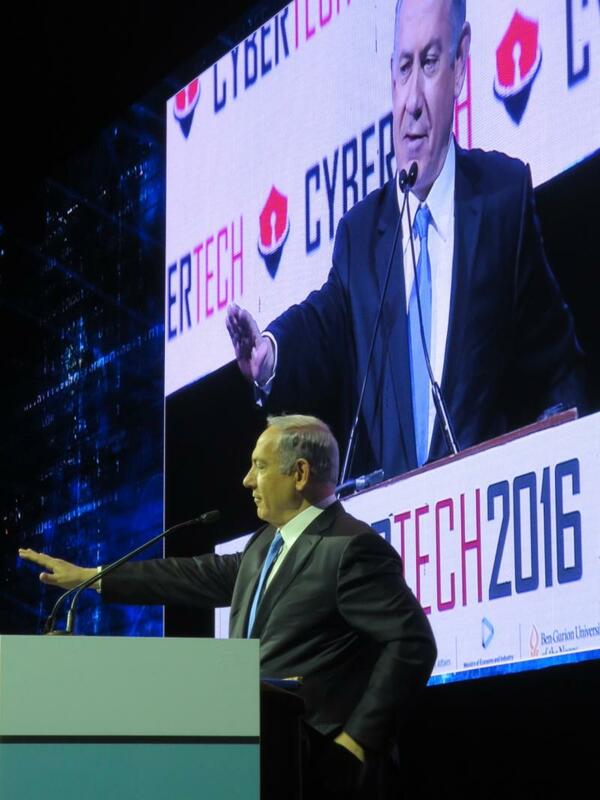 Prime minister Benjamim Netanyahu speaks at CyberTech. Another facet of Israel’s approach that may be tough to export is its government-driven approach. Israel Electric, for instance, is not only 99.85 percent government owned, but its cybersecurity regulator is the government’s Shin Bet security agency — the equivalent of having the FBI oversee a utility’s cybersecurity here. Cybersecurity has been an official government priority since 2002, when then-prime minister Ariel Sharon set up a data-security unit in Shin Bet. (For reference’s sake, that was about the time in the U.S. when we officially realized we shouldn’t have let Enron treat the California power grid as its playground.) And that top-down emphasis will only increase. Netanyahu made that point in his speech when he noted Israel’s creation of a national cybersecurity authority to direct efforts across private industry. The government also invests directly in startups: The Office of the Chief Scientist in the Ministry of Economy has about $500 million a year, matched by private money, to put into promising companies. 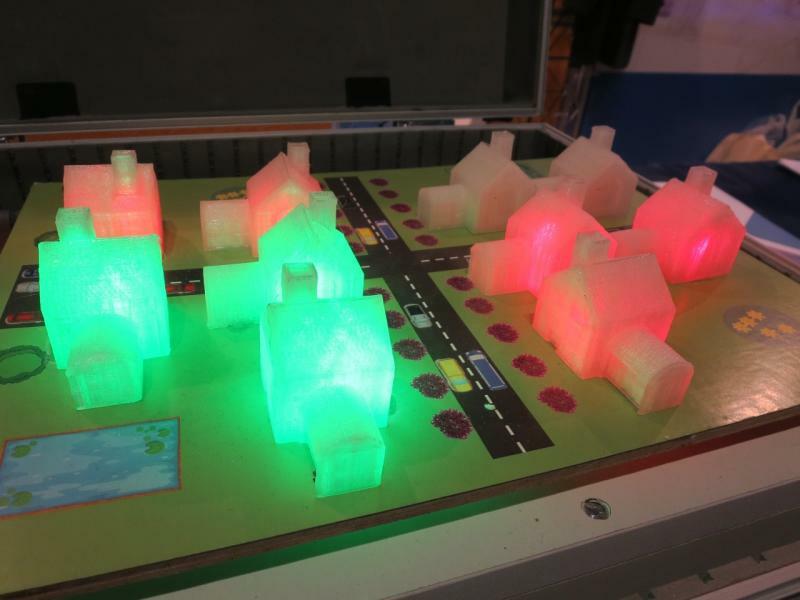 A cluster of tiny houses at a CyberTech exhibit dramatizes the effect of an attack on the power grid. All this experience and attention was not enough to stop Israel’s electric authority from being hacked, nor did it stop such earlier intrusions as the 2014 compromises of three Israeli defense contractors or a successful malware attack in 2012 on Israel’s police department. And while some tech figures here may sound a little cocky sometimes — “We have an amazing opportunity here as Israel, because 95 percent of those companies worldwide don’t know anything about cyber,” said CyberSpark Initiative CEO Roni Zehavi — others noted that Israel didn’t build this itself.